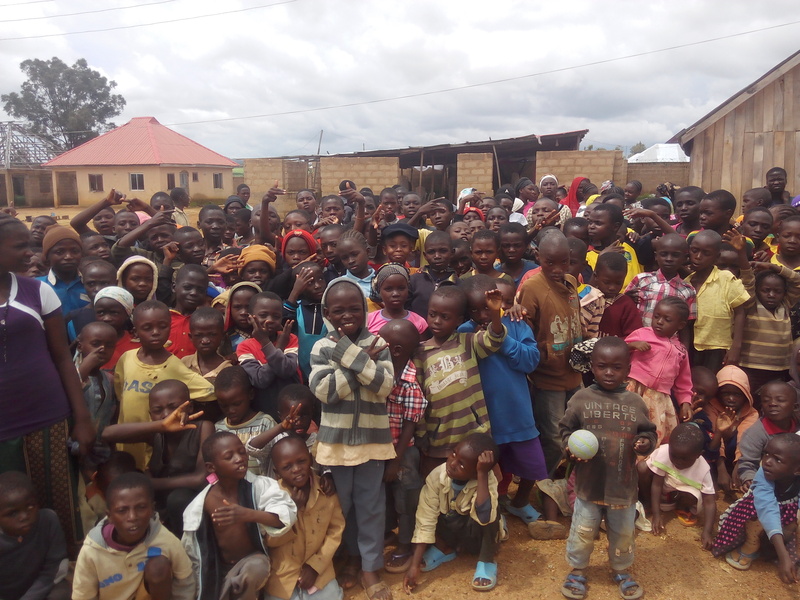 The first Christmas for Refugees event in Nigeria was held at an orphanage in the heart of the conflict zone. 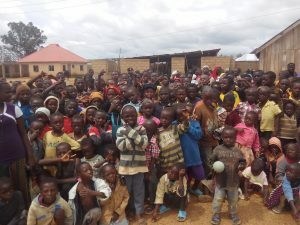 The orphanage is located in the town of Miango, Plateau State just about 26 kilometers (16 miles) from Jos which has seen church bombings and the massacre of Christians. During the first week of December four Christians belonging to the same church were returning from a shopping trip when they were murdered by Muslim herdsmen. The Boko Harem, now affiliated with the Islamic State, also operates in this area. The Tabitha Evangel Ministries (TEM) orphanage houses about 190 children. Almost all of them are parentless. On my desk I have the statements of the children who saw their parents slaughtered in front of them. One example is David Solomon who wrote, “Fulani (Muslim) herdsman attacked my community and killed my father, machete my brother and elder sister and also shot me in the stomach but we all survived it.” With no home nor income the mother was forced to place David, the youngest, in the TEM orphanage. This past December David and almost 200 children with similar stories were able to celebrate a real Christmas including a puppet show, songs and games. Because none were available in the Jos area, coloring books celebrating the birth of Jesus were carried from the United States, something we rarely ever do as it is costly. But the coloring contests at the Christmas events are one of the most favorite activities for the children. The children received a hygiene kit of much needed items such as shampoos, soaps, tooth paste and other items. Every child also received a pair of shoes expected to last at least though the next school year. For most of the children, those shoes will be the only pair they own. Because of my schedule in the Middle East for the Christmas season, I was unable to visit the TEM orphanage in Nigeria, but a representative of this ministry who is a civil rights attorney and a volunteer, flew to Nigeria to oversee the Christmas event and report back. I plan to travel to Nigeria in March, visit the orphanage and consult with other ministries in Nigeria.